Breathwork is a modality that can be used in Transpersonal Hypnotherapy. Breath is known as the Life Force, also known as prana, chi, holy spirit, shatki, and ki. When you take three deep breaths, you are resetting the Chi within your body...e.g. resetting your life force. 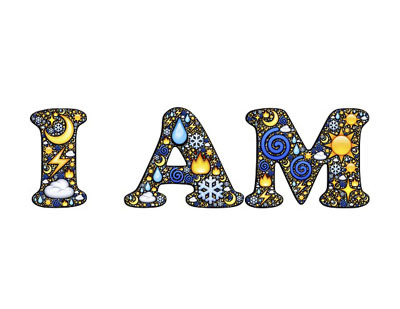 The I AM is significant to many as it represents the source of life. Breathwork is a process of breathing in 10 minute cycles to help to remove blockages that otherwise have not been accessible through other types of modalities. 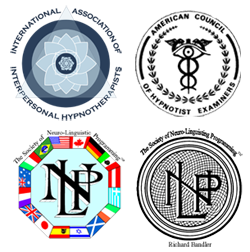 Hypnotherapy teaches that the body is the emotional mind. We store our emotions into our bodies. Emotions are truly energies that "fire" within the body. They are currents that run within, and can become surpressed, repressed or not fully expressed, due to trauma which then creates energy blockages within the body. If the body is blocked, that means energy flow is blocked. If energy flow is blocked, we can see breakdowns in our health. Using breathwork, one simply goes through cycles of breathing. The Breath, e.g. Life Force, can help move these blocked energies, helping to re-open the inborn, natural energy flow. Having personal experience with breathwork, at first it doesn't seem like much fun to just breath intentionally for ten minute cycles. It can actually seem a bit overwhelming. However, the breath, being the I AM Life Force, is actually very powerful and very moving. I've experienced some incredible insights and shifts from my own personal breathwork sessions. It has cleared up some lifetime challenges, providing a very deep insight within. I've also seen it really shift some really deep things within clients as well. One of my mentors can be quoted as saying "Breathwork is like peeling layers of onions." It is a powerful super tool that helps you remove layers upon layers of long-forgotten, yet still blocking energies that exist within. Clearing these energies makes space for healing energies, bringing you new strength, insight and empowerment. If you are not reaching past what is stopping you, perhaps some breathwork might shine some light into some unexpected forgotten buried energies within you. To me, it just makes sense, that by tapping into our primal nature of "breath" the "unconscious process that sustains life", that by bringing our consciousness fully aware to this breath and bringing it intentionally through our bodies, by it's very nature, it clears our energies and restores the inner balance i.e. life. If you would like to find out more about breathwork, and specifically how it may assist you, I invite you to schedule a complimentary consultation to see if this modality is right for you.